The death has occurred of Ireland's oldest woman. 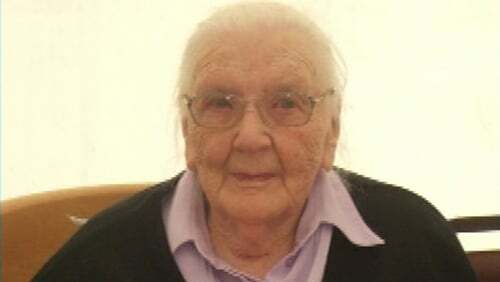 Mary-Kate Byrne, from Grange, Maganey in Co Laois, passed away today, aged 108. Also known as Polly, Mary-Kate was born on 14 August 1904. Predeceased by her husband William, son Joe and daughter Lilly, she is survived by her sons Liam and Michael, daughters-in-law Nellie and Theresa, grandchildren and great-grandchildren. Ms Byrne will be buried following funeral mass at St Abban's Church in Killeen on Thursday.